Harvard University Press, 9780674273948, 320pp. What can teachers in British and American inner-city schools learn from each other about literacy training? To explore this question, Sarah Warshauer Freedman and her British colleagues set up a writing exchange that matched classes from four middle and high schools in the San Francisco Bay area with their London equivalents. 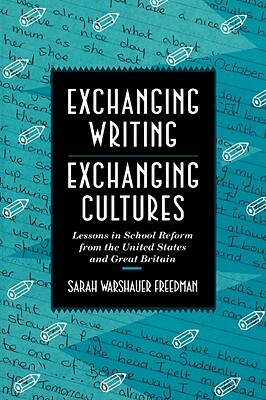 Exchanging Writing, Exchanging Cultures offers concrete lessons to school reformers, policymakers, and classroom teachers about the value and effectiveness of different approaches to teaching writing. Freedman goes beyond the specific subject matter of this study, looking anew at Vygotsky's and Bakhtin's theories of social interaction and addressing the larger questions of the relationship between culture and education.